A leading light of the Liberal Party which dominated parliament in the 1890s, William Pember Reeves was responsible for a series of labour acts which gave New Zealand the most extensive system of labour regulations in the world. Reeves was born at Lyttelton in 1857, three weeks after his parents arrived in New Zealand. His family’s affluence ensured that the scholarly Reeves received a good education at Christ’s College, where he excelled in Classics, modern languages, English literature and history. 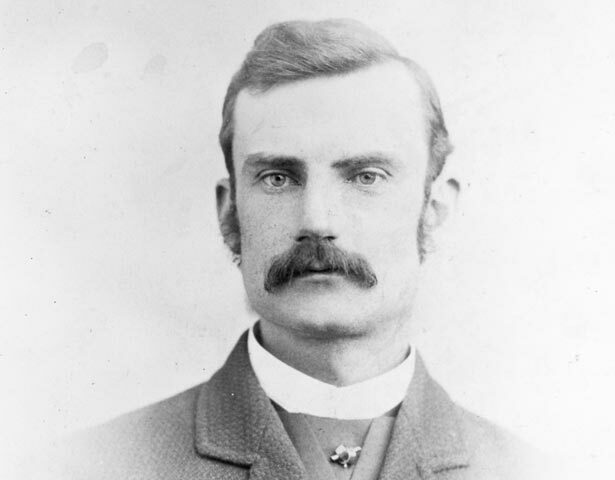 Although Reeves was admitted to the Bar in 1880, he came to hate the law and eventually earned his living by combining his two great interests: writing and politics. In 1882 he began to write political commentary for his father’s newspaper, the Lyttelton Times, and a year later became the newspaper's parliamentary correspondent. By 1889 Reeves was the editor of the Lyttelton Times as well as his father’s weekly, the Canterbury Times. A good speaker, particularly on socialist political issues, Reeves was elected to represent the Christchurch seat of St Albans in 1887. In parliament Reeves became the principal intellectual and ideologist of the Liberal party, which was elected to government in 1890 promising sweeping labour reforms. Reeves held ministerial portfolios for education and justice, and became the first minister of labour in the British Empire. His 'pet measure' was the Industrial Conciliation and Arbitration Act 1894, which introduced compulsory arbitration in industrial disputes and encouraged the formation of industrial unions. In 1896 Reeves was offered the post of agent general for New Zealand in London, where he had ample opportunity to meet prominent figures among the radical liberal, labour and socialist groups. There he lived for the rest of his life. He wrote Fabian socialist tracts and histories of New Zealand and its labour reforms, and for a time was director of the London School of Economics. We have 1 event in history, 25 biographies, 4 articles, related to William Pember Reeves.